After a perfect 3-0 run on season 26 of The Ultimate Fighter (TUF), women’s flyweight bruiser, Sijara Eubanks, was expected to fight Nicco Montano for the inaugural 125-pound strap at the live Finale in late 2017. Unfortunately, her weight cut went off the rails and “Sarj” was hospitalized, then pulled from the event altogether. Modafferi took her spot but came up short on fight night. Eubanks returned for UFC Fight Night 131 and made the flyweight mark, taking a unanimous decision over veteran Lauren Murphy. 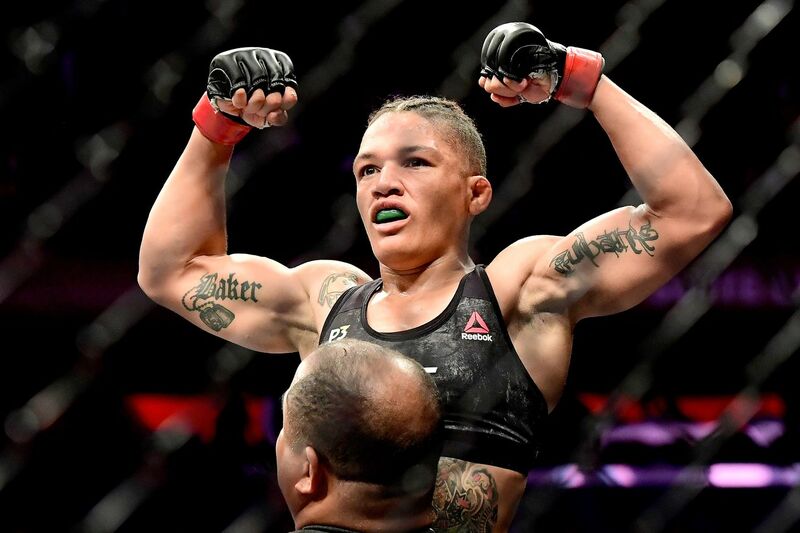 The plan was to then slot Eubanks into another title fight at UFC 230; however, some outside hijinks turned that into a Modafferi rematch and once again, Eubanks was unable to hit the flyweight mark. It looks like that most recent attempt will be her last, according to manager Ali Abdelaziz, who told ESPN that Eubanks was moving up to bantamweight for her next fight, which as of this writing, has yet to be booked.